This is a discussion on Amsoil oil change mpg gain... 2010 V6 Nox within the Amsoil forums, part of the Preferred Vendors category! So for Memorial weekend the wife and I headed down to Rock Hill SC. about a 3 hour drive. I had previously installed Amsoil OE 5w-30 Syn. As we got onto the highway 40 west to 85 South I reset the mileage right away. With a average of 60.1-.2 miles per hour I got this on the DIC. And then several miles down the road right before our exit I took this picture. We helped the inlaws move that day so there was a lot of idling and city driving around 35 mph so it dropped 2 mpg by the time we filled up at a 1/4 tank. On the way back we went a little faster with a average of 70-72 mph getting 27.6 mpg. I would say that this was a flat drive there are hills to go up and down the entire way. But we weren't driving through the mountains either. That is pretty good mileage Brian! Yeah it makes it that much more of a enjoyment to drive. Could wind direction/speed, temperature, traffic conditions, etc. have contributed to your MPG increase? The reason most people "say" this goes back to your garage mechanic...Most cars are designed these days to run on 5W-30, but many old schoolers feel that is too "thin" of an oil, and will not run anything less then 10W-30. I think oil like amsoil and purple power will improve economy. But also keep in mind that I have probably never driven this trip like this. I have always been pedal to the metal. 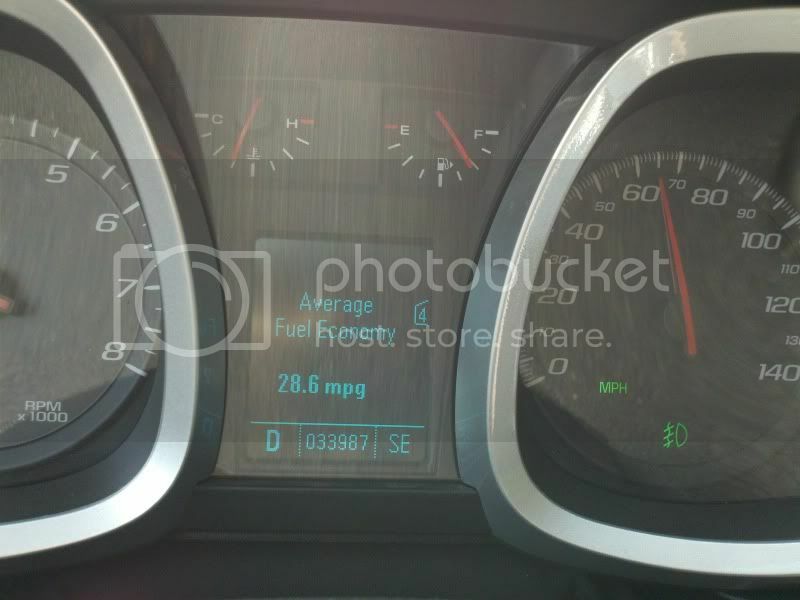 Like I stated in my post these mileage photos are from cruise control and highway only. Of course it dropped when my average mph dropped. That has risen to 25-26. I can't get her to try and change her driving style. Lubrication changes has been documented in various tests to effect economy. Not saying it will always happen but it can. A motorcycle shop here in town took a bike and ran it on the dyno several times and got a good base line using conventional oil. They then drained the oil and filled it back up with synthetic and notice after several more pulls on the dyno it had an increase of 3 hp and the oil temperature dropped by 15 degrees. So there is a benefit to running synthetic but it just might not be as noticeable as one would hope. 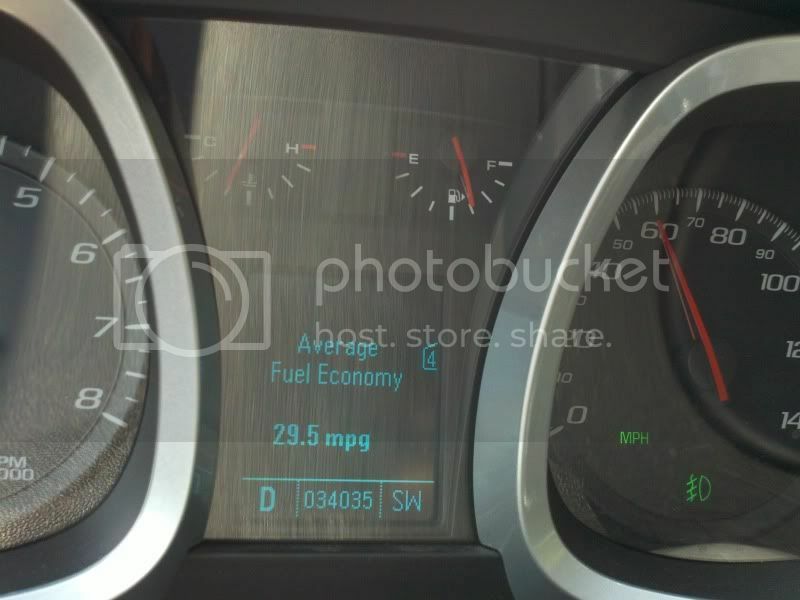 There are noticeable differences in HP on engines, it does have an effect, I've seen dyno and have read plenty of stories about it, but its not as you mentioned as huge as people think. Adding Motul 300 isnt going to net me 15fwhp! I didnt really get into explaining the additive packages, but those could have an effect on mpg, its certainly not 10-15%...but when you read any article talking about increasing your fuel economy, they always list oil...and the reason for that is most shops (I wouldnt say this is common any more) would use thicker oil then was recommended by the manufacture, running a lighter oil will increase fuel economy. We used to have to use thicker oils once the cars got up in age to keep it from leaking past the rings, oil seals and all that stuff. I need some tubes of grease. Brian, how is that 2 cycle oil working out for you?